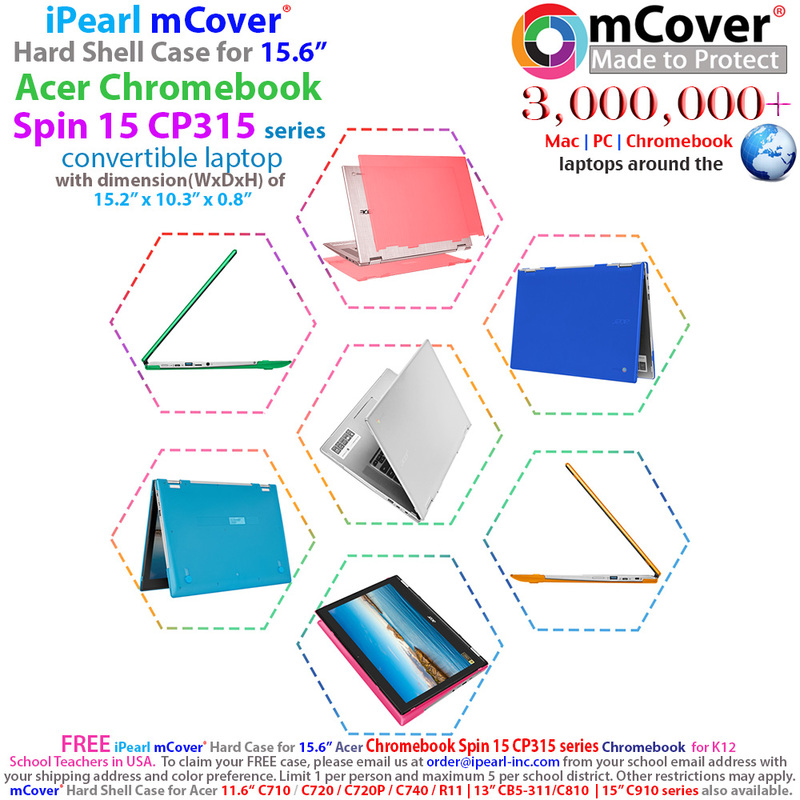 Made of high-quality polycarbonate material, which is shatter-proof and will protect your 15.6" Acer Chromebook Spin 15 CP315 series laptop all around. 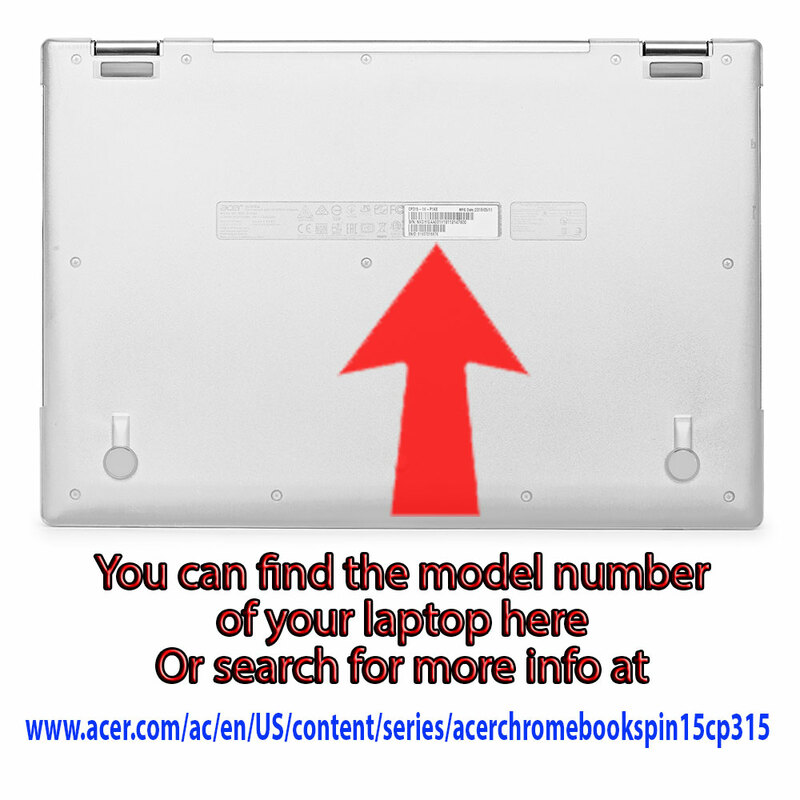 The ONLY Acer Chromebook Spin 15 hard case with foldable feet to let you type more comfortably. 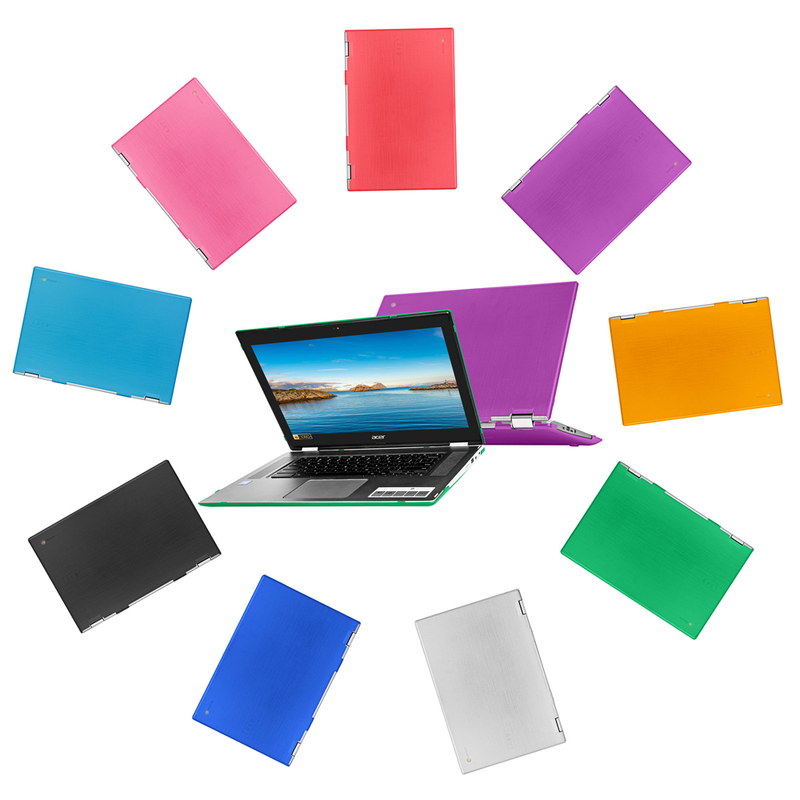 It also helps to prolong your Acer Chromebook laptop's life with BETTER heat ventilation from features like retractable feet and more wider ventilation slots. 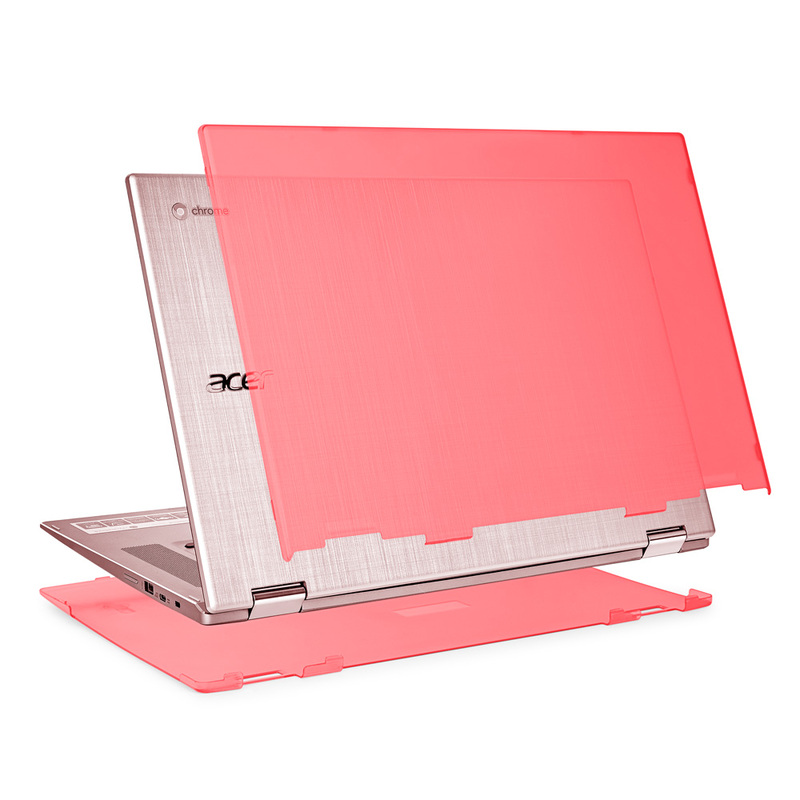 2-piece light-weight(14 oz or 398 g) shell easily snaps on and off.